Were you in an auto accident with an uninsured motorist in Miami Gardens? 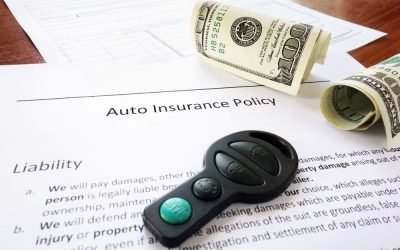 If so, consider contacting an uninsured motorist accident lawyer in Miami Gardens, FL about your options. Call the Law Offices of Anidjar & Levine at 1-800-747-3733 to discuss the details of the accident today. Every insured driver in Florida has personal injury protection (PIP) coverage. This policy protects you after an accident, regardless of fault. PIP offers up to $10,000 for a portion of your medical bills and a portion of your lost wages. However, car accident injuries can quickly eclipse these limits. If another party contributed to your accident, you could go after them for compensation. However, if they do not carry insurance, you may feel like you have nowhere else to turn. However, you may have a few more options. When you purchased car insurance, your insurance must have offered you uninsured motorist (UM) coverage. You must have rejected it in writing. If you do not remember rejecting this coverage, you may have it. You may be able to file a lawsuit against the driver to recover the entirety of your losses. An uninsured motorist accident lawyer in Miami Gardens, FL can help you determine whether this is possible in your case. Call today to learn more: 1-800-747-3733. If you were in an accident with an uninsured motorist, take the following steps to help build your case. Even if you received medical attention at the scene of the accident, follow up with your primary care physician. If a medical professional administered care, ask for copies of all medical reports made on your behalf. Your primary care physician may want to administer medications or prescribe further procedures, such as physical therapy. Obtain an accident report from the corresponding police department. If you need assistance, a member of our legal team may be able to assist in obtaining it. Keep a journal of your experience from its onset. Write down the date, time, and details of your accident with the uninsured driver. Take pictures of the accident scene, the vehicles involved, and your injuries. Collect the names and contact information of witnesses. Document any visits with doctors or trips for physical therapy, as well as the ongoing condition of your injuries. Speak to an uninsured motorist accident lawyer in Miami Gardens, FL who can guide you through the process and discuss the possible outcomes. There are several time limits of which you must be aware after an accident. You must receive medical attention within 14 days and file all insurance claims within a short time after. Call the team at the Law Offices of Anidjar & Levine to ensure you do not accidentally overstep these time limits. If you do, you may be unable to recover compensation for your injuries. How Can the Law Offices of Anidjar & Levine Help Me? Depending on the details of your accident with an uninsured driver in Miami Gardens, our legal team may be able to file a lawsuit. If your accident resulted in a loved one’s death, the loss of a limb(s), or permanent injuries, the Florida no-fault laws may not apply. At this point, it may become a personal injury claim. If you are having trouble collecting copies of official reports or medical records, our legal team may be able to assist in gathering them. We may also gather photo or video evidence, collect statements from witnesses, or seek to obtain expert testimony. Are you ready to speak to an uninsured motorist accident lawyer in Miami Gardens, FL regarding your uninsured motorist accident? Call 1-800-747-3733 for a free case evaluation from the Law Offices of Anidjar & Levine.